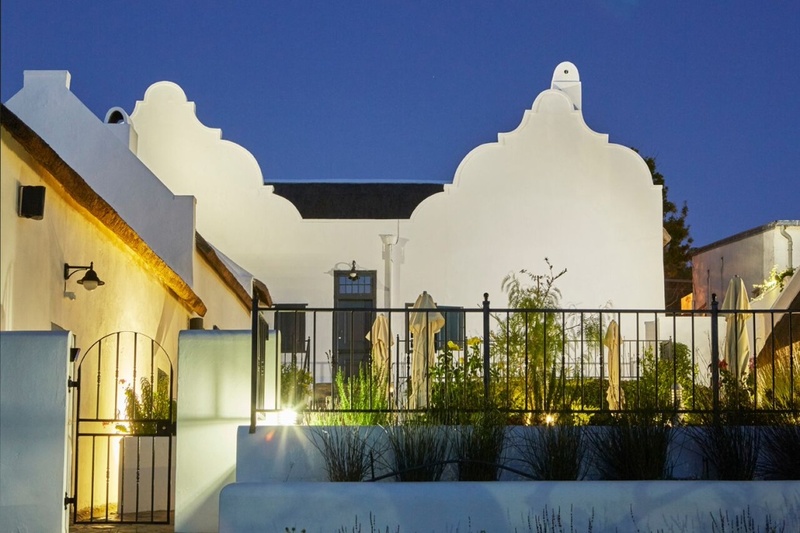 The Tulbagh Boutique Heritage Hotel stands in the beautiful winelands town of Tulbagh, encircled by magnificent mountains and well known for its many heritage buildings. The hotel is made up of three separate 19th century properties, two of them situated in charming, historic Church Street. Interiors are fresh and elegant, the rooms in the main house contemporary and those in the heritage properties in period style, with yellowwood ceilings, four-poster beds and fine chandeliers. The Honeymoon Suite is a romantic re-creation of an old wagon shed, with open thatch, two fireplaces, and a bath and shower for two. Local tastes and produce define the dining experience at Olive Terrace Bistro. The hotel is a picturesque one-and-a-bit hour’s drive from Cape Town. There's currently no specials at The Tulbagh Boutique Heritage Hotel.